You can highlight boards you want to easily find by starring them. “Star” boards to move them to the top of your home and boards page, so you can find your favorite boards without having to scroll. There is no limit to the amount of boards that you can star. 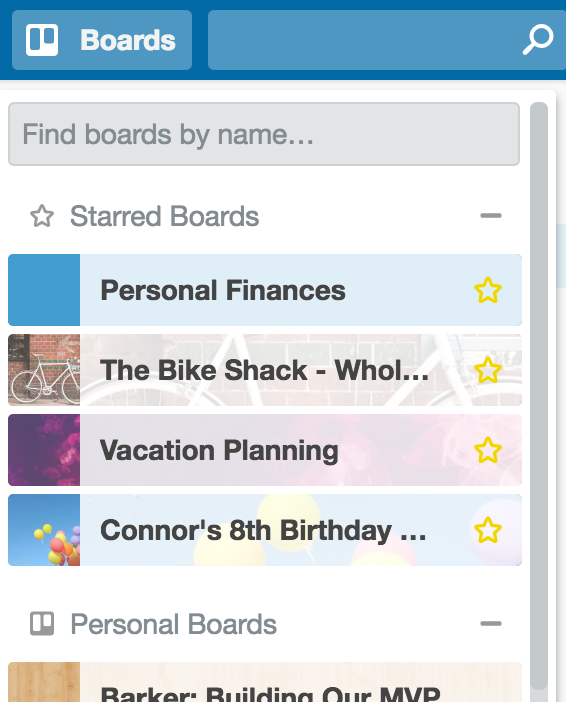 Starred Boards show up at the top of your home page, boards page, and at the top of your boards drawer. You can drag-and-drop starred boards in all three places to rearrange them. This way, you can put your most important boards first. 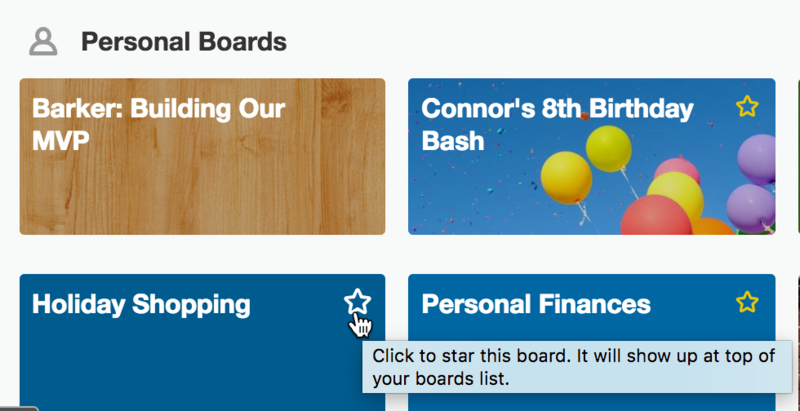 You can star (and unstar) a board from four places: the home page, the boards page, the boards drawer, and while on a board itself. On the home page, boards page and drawer, hover over a board tile and a star icon will appear in the top right. Click it to star a board. On the board itself, the star icon will show up to the right of the board title. To unstar a board, click the star icon again.